Imagine incredible northern lights, dancing over a "Tolkeniesque" landscape of sharp granite towers, glaciers pouring down towards the ocean, the Moon shining through moody clouds and a polar bear standing on a rocky outcrop. Well, that has been photographed already. What about massive UFO-like lenticular clouds set ablaze by the light of sunrise, hovering over an otherworldly landscape filled of frosted trees and frozen waterfalls? Done, too. What is left then to landscape photographers? Vision and introspection. Most photographers want to make images that are "better" and "different" than the rest. In other words, "extraordinary". But what does "extraordinary" mean? According to the dictionary, extraordinary is something "unusual and surprising". That is, something is extraordinary when it takes us out of what we are used to seeing, experiencing or feeling in our everyday life. We could conclude this quality is way more related to the concept of "scarcity" than "quality". 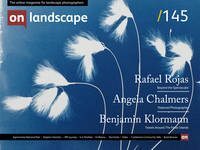 It could be thought that whenever a landscape photograph is made, a certain conversation takes place between a certain place and a human being, who stands behind the camera. An extraordinary photograph, therefore, would per se have little to do with the level of its quality, if we define quality by the depth of vision from the photographer who made it, and would be more related to the degree of novelty and the surprise effect it raises in the observer. It is only when we investigate about the origin of that novelty, that is, the place where that surprise effect comes from, that we can start making connections and assessments of quality value. It could be thought that whenever a landscape photograph is made, a certain conversation takes place between a certain place and a human being, who stands behind the camera. However, the degree of participation of each of the speakers in this conversation can vary strongly. On some occasions, the photographer becomes a recorder of what the landscape has to say. On other occasions, the landscape becomes the microphone through which the photographer speaks up. When a photograph, the result of that dialogue, is extraordinary, it tells us something we did not know, or something we never saw or heard about, something new, unusual, surprising. This surprising message can come from the landscape itself, from the way the photographer sees the world, or as a collaboration of both. At one extreme of the situation, we can choose to delegate the job and create "extraordinary" images by looking for "extraordinary" places and let them talk alone. This is the easy route, being nowadays easier than ever for a number of factors. As human beings, we have evolved in a growingly urban environment, away from nature and its wonders. Most of the world population lives today confined to an ecosystem of concrete, asphalt and carpet. Our habits have changed and so also what we see and experience every day of our lives. Today, things that our ancestors lived and considered "ordinary" for millions of years, like contemplating a sunrise or gazing a star filled night sky, have become something rare and unusual. In a way, progress has brought with it a strong homogeneity and limitation in terms of life experiences, making most human beings grow used to a very similar and reduced reality which pushes them to find "extraordinary" what before was not. Paradoxically, traveling to faraway places has become increasingly easy these days. Expeditions that took weeks and great lengths of logistical effort in the old days are nowadays easy commutes for most people with a minimum of skills, financial resources and physical fitness. In less than 48 hours, we can virtually be in any place of this planet, any ecosystem, any environmental situation. To end with, photographic cameras have grown more and more portable, allowing us to record the world that stands in front of a lens at ease. We do not need to haul hundreds of kilograms of large format cameras, glass plates and chemicals anymore like it was needed a century ago. Today, we can very well leave our home with our camera conveniently fit into a small bag, catch a flight, travel to an "unusual and surprising" location, record a few images and bring them back to the urban reality where most people live. With a minimum of technical and compositional skills, we will be able to record the monologue of the landscape and bring back its extraordinary quality to our peers. The likely result will be an extraordinary image, possibly awakening an extraordinary reaction from the audience and eventually making us extraordinary photographers. The problem with this approach is that it only leads to a dead end: becoming the universal photographer. The likely result will be an extraordinary image, possibly awakening an extraordinary reaction from the audience and eventually making us extraordinary photographers. There comes a moment, sooner than later, when every photographer is able to reach a level of consistent good results in photography. This is a moment when the photographer is able to produce, at will and in automatic pilot, aesthetically pleasing images, perfectly exposed, composed and post-processed. After a few years of experience, the photographer has honed technical skills, knows how to locate spots of great beauty, waits for specific conditions of light, composes in a harmonious way and introduces advanced techniques that will provide to the images a certain professional look. At this stage, the photographer turns into what I call "the universal photographer", the highly prolific and ever present "author" of most of the images we see on the internet. His images have impact, a high aesthetical value, are technically perfect and display a plethora of extraordinary locales and subject matter. However, they blend perfectly with the work of thousands of other photographers. The universal photographer is of the lazy kind, and for good reason. Photographing in incredibly picturesque and photogenic places might be akin to athletes training for the Olympics in the Moon. When we are surrounded by incredible beauty and impressive features, the temptation of making easy photographs is too big to resist. With a minimum of technical experience and a bunch of composition templates, we see how our memory cards fill with impressive images that will surely impress family, friends and fellow photographers on most social media channels. The big decision comes at this point. Is this enough or not? If we get used to this easiness, or, worse still, we start believing this is what there is, we soon engage into a hopping photographic behaviour, through which we jump from one photo-opportunity to another one. As soon as the level of effort needed to find subjects reaches a minimum threshold, we catch ourselves saying things like "there is nothing here to photograph" and we feel the need to move on until we find yet another impressive subject. Soon, we become merely recorders of objective aesthetical beauty. Mobile advanced webcams with expensive equipment. At this point, it is important to mention that there is nothing wrong in this approach. Our intent might be solely recording the beauty of the world, and sharing it with other people. If that is our objective, there is nothing else to be done. We should not be surprised however if our images end up being exactly like thousands or millions of images being taken day in, day out by many fellow photographers. If our intent is using photography to catalyze stronger emotions, trigger deeper experiences while discovering the world we live in and showing others the personal relationship we establish with life, then becoming a "universal photographer" will not be enough. We need a different alternative. As photographers, we can push the boundaries of what extraordinary is, not limiting it to the nature of the subject matter, but rather to the personal relationship we develop with it, its metaphorical value, the hidden messages we find in the landscape, the different levels of signification we draw from it. Through photography, we can opt for simply recording the world, but we can also interpret it, shape it and give away to others a strongly personal and subjective version of it, filtered through the sieves of our conscious and unconscious human nature. Through photography, we can change the world, we can almost invent it. When we decide to take this road, we create extraordinary images not only when the landscape is unusual and surprising in itself, but mostly when our personal dialogue with it is. This approach demands a higher level of introspection, depth, conceptual thinking and emotional openness than the former, but the rewards far outweigh the extra effort. When we set sail in this direction, we can make extraordinary images of extraordinary places like everybody else, but we can also find and reveal the extraordinary in the most banal and ordinary place imaginable. When we set sail in this direction, we can make extraordinary images of extraordinary places like everybody else, but we can also find and reveal the extraordinary in the most banal and ordinary place imaginable. This deeper mindset takes us by the hand and leads us along a never ending path which gets wider and wider. Rather than engaging into an ever limiting process where we need to travel more and more to see less and less, we open the door to an ever expanding process of seeing more and more in less and less. The solution is not stopping travelling to exotic destinations. In fact, it is just about experiencing these places we visit with the utmost intensity and establishing personal relationships that lead to personal expressions through photography. It is about creating extraordinary images not only because the subject matter is extraordinary, but rather because our relationship to it is. It is always difficult to give recipes for anything related to creativity and personal vision, but we can always start by adopting a series of "healthy" practices that will keep us moving in the right direction. These are pointers that can help us navigate across the ocean we call life when using photography as a boat. Rather than photographing what the place looks like, photograph what the place feels like to you. What is it that you find interesting, mysterious, magnetic, magic, haunting, etc in the landscape? Like children art, that distills and simplifies life to capture the basic elements that define their reality, use photography to capture those elements of the landscape that transcend the particular and elevate them to a universal value. How to put in images the basic and most fundamental character of a certain place? If you had to make a very concentrated perfume out of the landscape, which would be the smell? Rather than thinking on the landscape as an external entity from which we "catch" photographs, think of it as a subject with which you can establish a dialogue. Your images will be successful when this channel of communication flows freely in both directions. Your successful images will not be yours, but made in collaboration with the landscape. When you understand this, a mental switch gets activated and one start looking for "resonances" with the landscape, rather than trophy shots obtained after a grueling fight. A good way of forcing yourself to see deeper and go under the skin of a place is by forcing you to photograph the details that compose the landscape. Forget about the use of ultra-wide angle lenses for a moment, set up a fixed lens and force yourself to work with the intimate landscape. Close ups, images without horizon, macro. Work at different scales. There is a common resistance when travelling to far away locales to photograph things we could photograph in our backyard at home. It is true that when travelling abroad we spend a lot of money, energy and time, and our ideas based on modern "productivity" tend to suggest that we should focus on the added value of our trip and make photographs that scream about that place. We should not forget that travelling is also getting out of our mental comfort zone, giving ourselves the time and freedom to create with a receptive mindset and a lack of day-to-day pressures. However, we should not forget that travelling is also getting out of our mental comfort zone, giving ourselves the time and freedom to create with a receptive mindset and a lack of day-to-day pressures. Get the most of this liberating mindset to work on things you find interesting, independently on whether or not they represent what most people expect out of that place. When in the Alps, you do not need to photograph exclusively glaciers and peaks. Spend your time exploring the abstract patterns on a puddle if you feel so too. When travelling to and photographing landscapes, think of the connections you can make out of apparently disconnected places. When you photograph places for how they feel to you rather than for how they look, you will respond to similar inherent non-tangible qualities that are embodied by these landscapes. You will soon see how you can put together solid bodies of work composed of images made in a wide variety of locales, where the same subject is embodied by different subject matter. Most photographers think of the physical landscape as the subject, but many times it is more akin to a canvas, a substrate, a stage. When visiting the Hebrides in Scotland, for instance, I consider the landscape to be a support for light and motion. Rain, waves, water, wind, light, clouds... all these elements, always moving, appearing, disappearing, forever changing, become the real building blocks of the image. The sand, the sky, the ocean, the hills, become just the support, the stage where the actors play. Adopting this mental approach turns the landscape into a never-ending source of experiences, emotions and visual counterparts. It was Alfred Stieglitz who first used the term of "equivalents", when he photographed a series of clouds representing his different emotional states. When photographing the landscape, find visual "equivalents" to your emotional states. If you are feeling blue today, make images that display that sadness. If you do not find the landscape particularly beauty nor inspiring, give yourself the freedom to make images that state that. Your images should not always be about beauty. When visiting a new place, particularly when we carry strong preconceptions of what we want-need to photograph, get the compulsory images as soon as you can. Once you will have covered those images (typically clichés and based on images we have seen from other people) you will calm your photographic ego with the wanted results for the others, and will be able to pass on to creating more personal images that are only made with the purpose of pleasing you. Chances are those first images will be relegated to oblivion and be the same to millions of images already made. That is ok. Doing them might serve as a warm up, mental and technical, before you loosen up and get to more personal matters with the landscape. Establishing a personal connection with anything takes time. One of the best advices to produce work that is personal, different, unique and meaningful is by forcing you to slow down. Give yourself plenty of time when you visit a place. If you do not see anything, be patient and do not run yet to another place. Establishing a personal connection with anything takes time. One of the best advices to produce work that is personal, different, unique and meaningful is by forcing you to slow down. Give yourself plenty of time when you visit a place. If you do not see anything, be patient and do not run yet to another place. Doing so will again put you in a race of picking the low hanging fruit. In your photographic explorations, limit the amount of places to visit, make the regions you visit smaller and smaller. Do not plan too much. Only the obvious is seen quickly and clearly. When you spend little time in a place, there are little chances of creating anything that is not obvious, cliché and trite. Think of "playgrounds" rather than "locations"
Rather than going to photographic hotspots and viewpoints, rather than photographic iconic subjects, look for places that become photographic "playgrounds". This is the idea behind most my photographic forays in the outdoors, and very much the philosophy of the Photo Immersion trips we organise for fellow photographers. Select a very reduced number of magnetic and inspiring places which represent natural environments where you immerse yourself during the whole duration of the trip. Minimise the travel in space and focus on travelling "in the light", through the changes in the weather, though time. Every day, you will photograph a certain “playground” where you will notice that conditions are never the same. Every day, you will get a little closer to the spirit of the place. Every day, you will make a better friend. Doing so, you will focus on a type of internal travel, rather than an external one. Sure, great landscapes lend themselves to landscape photography. But if you really want to hone your vision, force yourself to work in places where apparently "there is nothing to photograph". That will force you to go beyond the surface of things, become more introspective and find magic in the banal. You might very well become addicted. There is nothing more thrilling, like Edward Weston wrote in his daybooks, than to find beauty in the banal. Find the mystery of the cosmos in a puddle. Make people think and see things they could not have seen or thought had they been with you when you made the image. Joining the ranks of "universal photographers" is fun as long as the thrill of being at the top of social media lasts. Once this fades away, however, we reach a long plateau where one is forced to ask "and now what?". At this point, there are two options. One is letting personal vision take the reins of your photography, setting sail towards distant horizons. The other one is changing photography for golf or knitting.